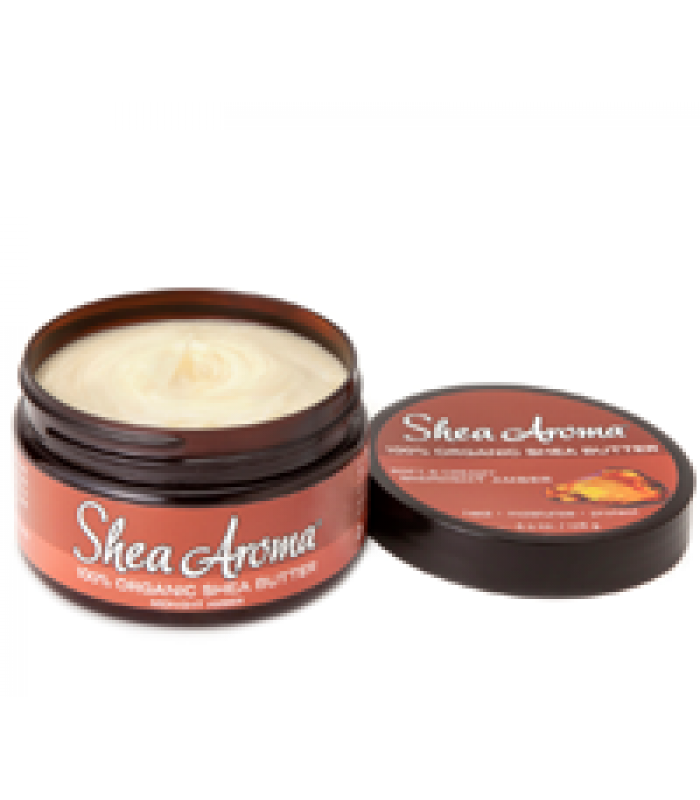 Shea Aroma Midnight Amber Our 100% pure unrefined Shea Butter is extracted from the seed of the West African Karite Tree, known as the Tree of Life. This rare, natural butter has been treasured for centuries as it contains essential nutrients to heal, moisturize and protect all types of skin while restoring elasticity and tone. Rich and creamy, each jar of our Whipped Shea Butter is cold pressed and hand filled with care. Fresh & tender, strong & sensual, Midnight Amber has the perfect balance between virility & sensuality. A fragrance that reveals the wearers personality and speaks for the body, Midnight Amber is like an imprint, a scent that can be seen.